A mineral is a chemical compound which occurs naturally as an earthy substance and is inorganic in nature. The chemical and physical properties of minerals, as well as their geological placement, make them different from each other. Several types of minerals are aggregated in the formation of rocks. When these rocks undergo changes from one type to another due to the changes in temperature and pressure, the structure and properties of the rock’s minerals change. As the names suggest, when a mineral contains metallic elements it is called a metallic mineral and when it doesn’t contain metallic elements it is called a non-metallic mineral. This can be identified as the main difference between metallic and non-metallic minerals. Metallic minerals contain metal elements in their chemical formula. The metal ores itself can be considered as a mineral. 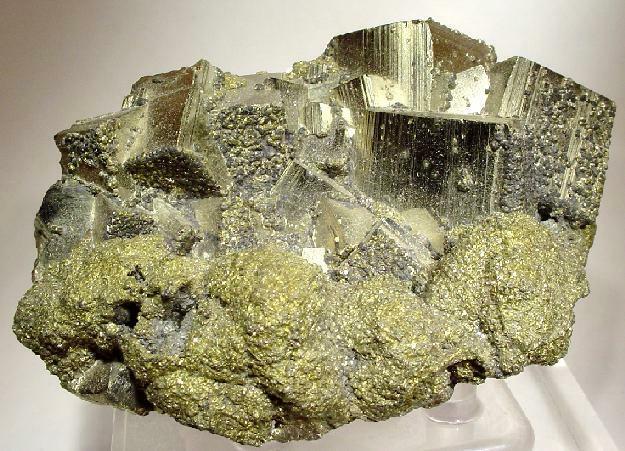 Some common metal minerals include Chalcopyrite, Iron, Copper, Gold, etc. Chalcopyrite is the most common Copper mineral and is an Iron-Copper Sulphide. Therefore, metallic minerals can be a homogenous ore of one kind of metal as in the case of Iron, Copper, and Gold. It can also contain a mix of metals bound together with another inorganic species as in the case of Chalcopyrite. However, in the case of highly oxidizable species such as Iron, the oxidized form will also be present. Metallic minerals usually originate from igneous rocks. An igneous rock is a type of rock that is formed by the cooling and solidification of magma or lava. Magma is made by melting existing rocks under very high temperature and low pressure. It is possible to extract the metals from their ores when the metallic minerals are melted. Furthermore, these minerals are found to be ductile. In general, these minerals are able to preserve their own shine. Non-Metallic Minerals do not contain metal elements in their inorganic chemical formula. 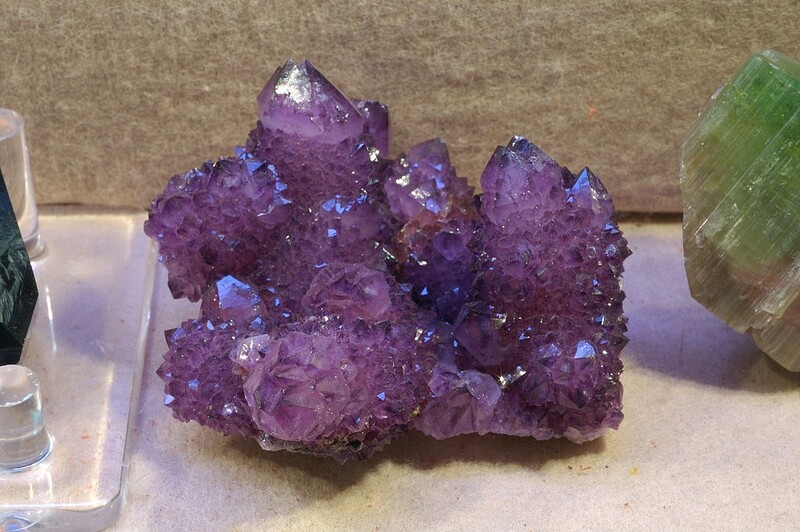 Some common examples include; Clay, Diamond, Dolomite, Gypsum, Mica, Amethyst and Quartz, etc., Some minerals among these non-metallic minerals belong to the category of precious/ semi-precious jewellery material. These materials are not ductile and can be broken into pieces upon a collision. Unlike in the case of metallic minerals, melting the non-metallic minerals would not produce useful material. Non-metallic minerals are derived from sedimentary rocks. Sedimentary rocks are formed through the aggregation of diverse materials such as minerals, other rock particles, parts of organisms and other organic compounds. Also, they do not have a shine of their own. Metallic minerals are minerals that contain metals. Non-metallic minerals are minerals that do not contain any metal elements in their compounds. Metallic minerals have a shine of their own. Non-metallic minerals do not have a shine of their own. Metallic minerals are associated with igneous rocks. Non-metallic minerals are associated with sedimentary rocks. Metallic minerals are quite ductile. Non-metallic minerals are not ductile and can be broken upon a collision. Metals can be extracted by melting the metallic minerals. Non-metallic minerals do not yield new products upon melting.